I have been against talking about Christmas yet, but it has slowly dawned on me that we are less than a month away from the day itself. There have been a few signs, the Christmas lights being switched on in Lincoln, seeing the Coca-Cola advert and I found myself at a Christmas Food and Gift fair last weekend. 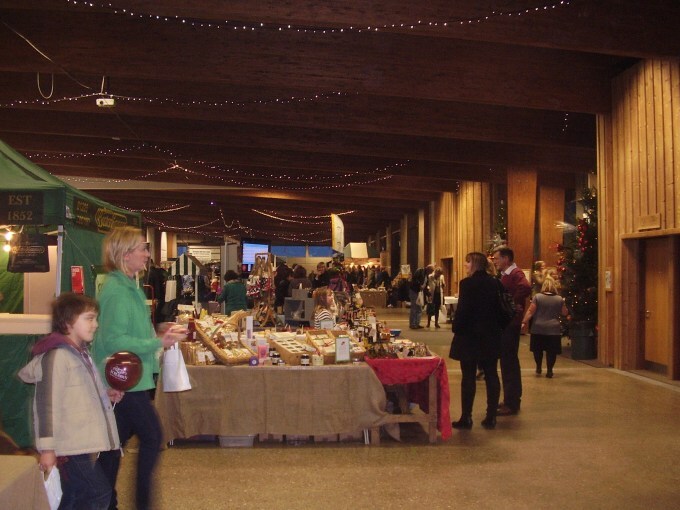 The Lincolnshire Showground was hosting the fair and it was a great day. It was all for my food show on Lincoln’s first community radio station, Siren FM. My friend Sam came along with me, and we were genuinely excited about the amount of seasonal, local food products available. We found a man in Yorkshire (so unfortunately just out of the area for Siren FM) who makes his own chorizo, there was also tasting sessions of chocolate wine as well as orders taking place for Lincolnshire geese and turkey. I also found the largest hog roast sandwiches ever. I also met some great new people to feature and profile on my Siren show who will be turning up in the next few weeks and hopefully into 2013. This is merely a bit of a tease though. I am currently working on the Christmas special of Food for Thought, which has plenty of fun ideas including the upcoming Lincoln Christmas Market. Also on this week’s show I was invited to go try out Lincoln’s latest restaurant Wagamamas. Myself, and my plus one Jon, spent most of the evening trying to figure out if the waiters knew we were reviewing them or not. Turns out they didn’t, which was a relief. The service was lovely and the food very good. Verdict is that it is great that Lincoln has something new which doesn’t offer pizza. As a result the place is really busy so plan when you are going, lunchtime seems to be less frantic. To entice you further here are some images of the dishes we tried, which Wagamamas kindly gave to me. Interested? Well you can listen to the edited highlights here, or listen to the show in full on Siren FM on Wednesdays at 2pm or Saturdays at 3pm. Tried out a beta test of Ocqur and decided to be highly serious. It was easy to use and great fun to make it conversational as it is easy to embed content too.